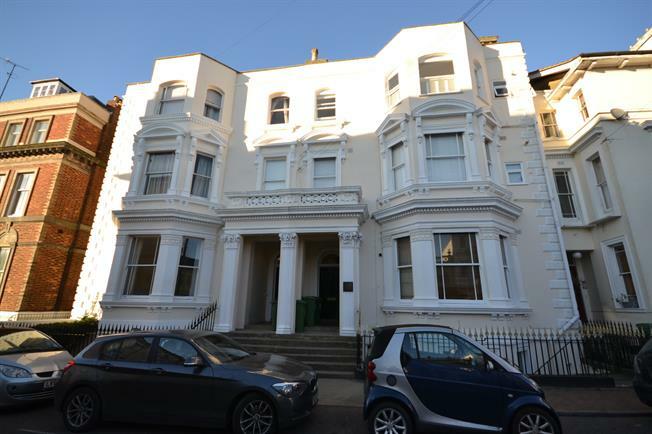 1 Bedroom Flat For Sale in Tunbridge Wells for Guide Price £230,000. Guide price 230,000 - 245,000. Freeman Forman are delighted to present this spacious one bedroom second floor apartment, located in the heart of Tunbridge Wells within walking distance of the mainline railway station and the towns amenities. The property boasts a stylishly re fitted bathroom and kitchen, along with window shutters on the stunning reception room bay window, offering views across the town. The property forms part of a handsome period building with an entry phone system and a grand communal staircase which leads to the second floor of the building. The apartment is available with no onward chain and a new lease which has been recently extended by the owner. Further information regarding the service charge is available via Freeman Forman and internal viewing comes highly recommended.